Probably one of our favourite transfer sagas of recent years, solely because it never happened – is Arsenal’s pursuit of Luis Suarez in summer 2013. They infamously bid £40m plus £1 in an attempt to meet a buy-out clause for the Uruguayan superstar, which earned the wonderful response from Liverpool owner John W. Henry: “What do you think they’re smoking over there at Emirates?”, via Twitter. Suarez stayed at Liverpool and came within inches to firing us Premier League glory in 2013/14, winning the Golden Boot, breaking scoring records and generally rubbing salt into the Arsenal wounds – before departing to Barcelona where he’s already cementing legendary status. 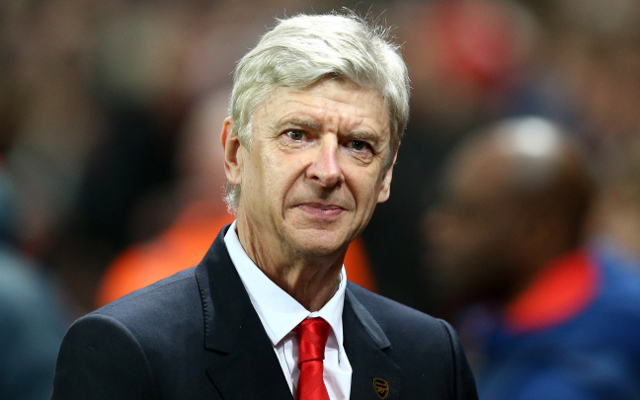 Now, Arsene Wenger has discussed the failed deal, and spoken about what Suarez actually brings to sides. In fairness, the Frenchman’s hit the nail on the head. Not only does the striker inject pure quality, but his desire and energy transforms the attitudes of those around him. “Do I still think about the failed transfer? Not now. It happened to me before but not now,” Wenger said, reported in the Echo. “The greatest value Suarez brings? Camaraderie – I believe Suarez gives that to a team. “He did it at Liverpool, he did it playing with Uruguay with [Edinson] Cavani and [Diego] Forlan and did it well. “I believe that apart from the individual talent the three [Barcelona forwards, Suarez, Lionel Messi and Neymar] have, they have a good understanding and cohesion. They have a great solidarity. “I have seen that Cristiano Ronaldo said that Messi passed the ball to Suarez at a penalty last week because he wanted him to be the top goalscorer. Suarez certainly did create a winning mentality and a never say die attitude during his Anfield tenure. It sometimes bubbled over and earned him lengthy suspensions of course, but when he was on the pitch – he was a joy to behold. Bar Steven Gerrard, we’ve not seen the likes of which during the Premier League era.